U.S. housing markets are gaining as demand for homes exceeds available supplies in many areas. The National Association of Home Builders/ Wells Fargo Housing Market Index (HMI) for June increased by eight points over May’s reading to achieve a positive reading of 52. This last happened in August-September of 2002, when HMI monthly readings also jumped by eight points. Any reading over 50 indicates that more builders consider housing market conditions positive than negative. June’s reading was the first time the HMI reading surpassed a reading of 50 since April 2006. Rick Judson, NAHB Chairman, cited short supplies of existing homes as a factor driving sales of new homes. As demand for homes grows and inventories of available existing homes fall, buyers are increasingly buying new homes. Sales of existing homes continue to be impacted by factors such as homes worth less than the mortgages held against them and sellers taking a “wait and see” attitude toward listing their homes for sale. The reading for current sales conditions rose from 48 to 56. Expectations for future sales gained nine points to 61. June’s reading for buyer foot traffic in new homes gained seven points for a reading of 40. Northeast: Builder confidence increased by one point to 37. Midwest: Builder confidence rose by one point to 47. South: Builder confidence rose by four points to 46. West: Builder confidence dropped by one point to 48. High demand and a shortage lots available for building new homes contributed to the West’s slight decrease in builder confidence. Overall, increasing home builder confidence is a sign of economic recovery, but as the economy gains momentum and home prices continue rising, mortgage rates can be expected to rise as well. 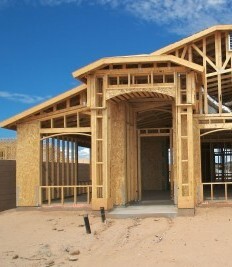 The U.S. Department of Commerce reported Wednesday that national housing starts rose by 6.80 percent from April’s revised reading. May’s reading of 914,000 housing starts was reported on a seasonally adjusted annual basis. May’s reading was 28.80 percent higher than for May 2012. Single-family housing starts (one to four units) fell short of investor expectations of 953,000 but exceeded April’s revised reading of 856,000. Multi-family housing starts surpassed single-family housing starts, but any additions to low inventories of single-family homes could ease the difference between high demand and low inventories of available homes. Meeting demand for homes would temper rising home prices, which could help potential buyers qualify for mortgage loans.